The original recipe didn’t call for blue cheese or feta and only for half of the ranch dressing but I felt it needed a little more to cut the flavor of the hot sauce. Place all ingredients except butter, cheese and rolls or rice in a gallon freezer bag and freeze. 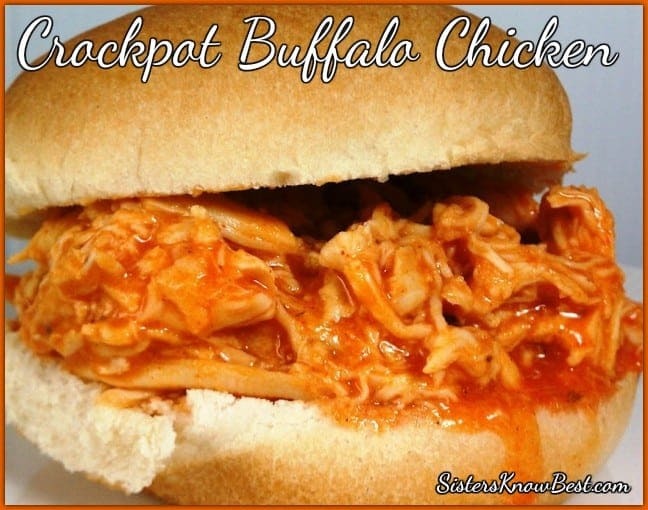 Place ingredients of freezer bag in crockpot and cook on low for 6-8 hours. 1/2 hour before serving add butter and shred chicken. Serve over rice or on burger rolls covered in blue cheese or feta cheese. 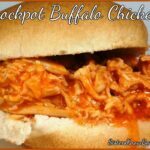 Check out our other Crockpot Freezer Meal Series for more great recipes.